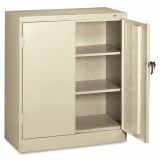 Tennsco Counter-High Storage Cabinet - Counter-high storage cabinet can be placed under counters for added storage versatility or used as a counter itself. Shelves adjust in 2 increments. 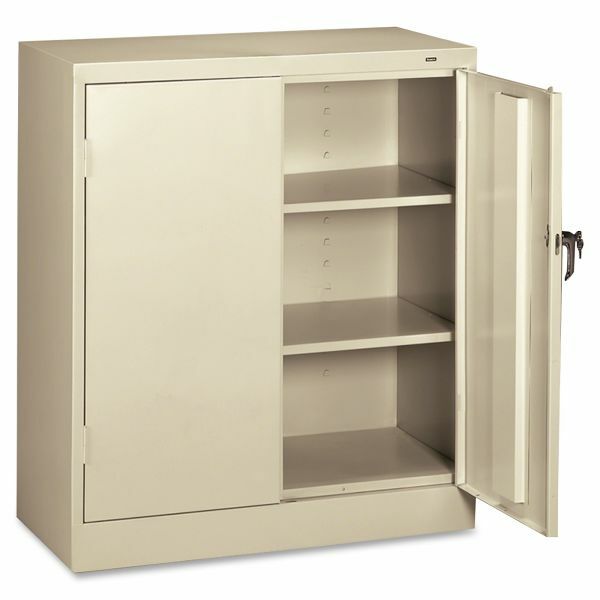 Design offers heavy-duty construction, reinforced doors and a three-point door locking mechanism for maximum security. Three leaf hinges maintain door alignment. Chrome handle locks both doors. Raised base keeps cabinet contents from contacting floor moisture."